This doesn’t seem like a fair fight. One of the top of the line and most expensive bread machines versus the lowest price machine with basic features. But as you’ll see we’re in for a few surprises. 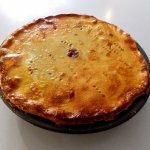 A lot of this will revolve around what you want to do with your bread machine and the frequency of use. But then again, I’ve got an old Breadman Pro that is also relatively low priced and it’s been dependable for more than 10 years and almost a daily loaf of bread. And this is where this comparison starts to get very interesting. It’s easy to assume that a low priced machine will have minimal features, but the Hamilton Beach offers some significant benefits that you won’t find on machines that sell for twice the price. For the money it looks like the “Zoj” is in for a battle. One thing Zojirushi will always have over competitors is excellent engineering and reliability. However, there were no complaints about the Hamilton Beach in this regard that were significant. It could be that the Hamilton Beach 29882 is a relatively new entry. But it’s worth noting that dependability seems to be a non-issue. What follows is a direct comparison of features and benefits. As you go down the list you may be surprised. Following the chart we’ll dive a little deeper into what all of this means. Let’s get one thing out of the way. The Hamilton Beach bakes a vertical loaf using on, fixed kneading paddle. The Zojirushi offers its signature horizontal load with dual, fixed kneading paddles. We emphasize “fixed” because some bread machines feature collapsible paddles that reduce the hole in the base of a loaf of bread. 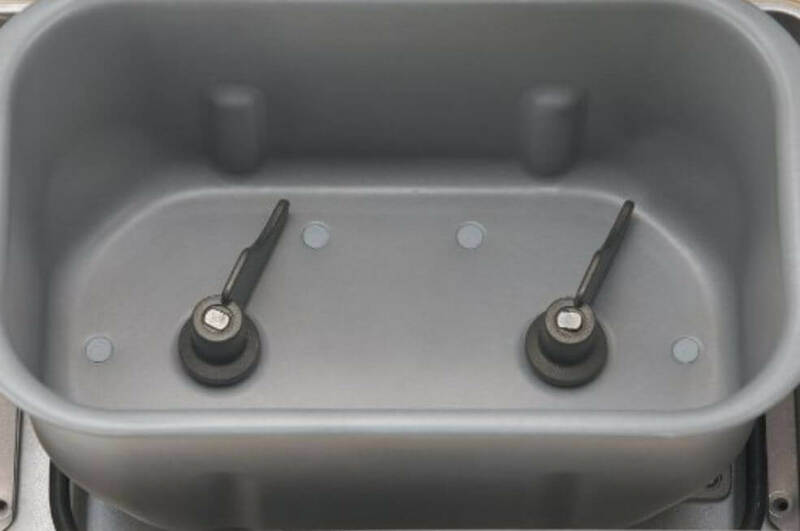 These collapsible paddles are a source of chronic complaints from other bread machine owners due to the fact that the paddles don’t collapse, so the fixed paddles are an even advantage for both. However, if you like a horizontal loaf of bread like you find at a bakery or grocery store the Zojirushi will give you that. 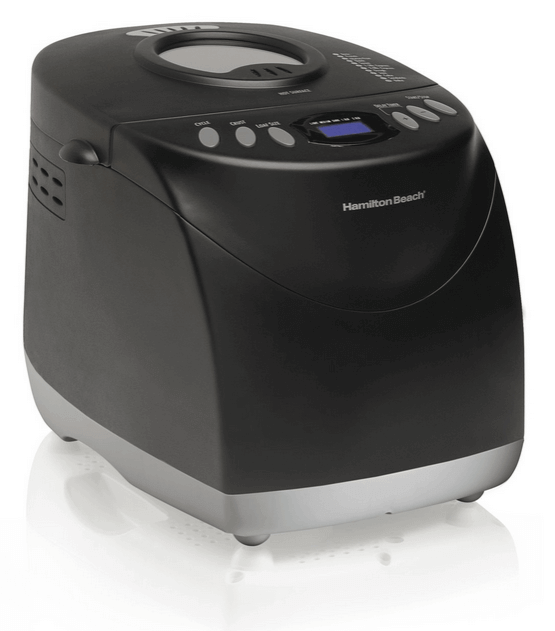 The Hamilton Beach delivers a tall, horizontal loaf similar to most other bread machines. Both of these machines can bake loaves in 1, 1.5, 2 and 2.5 pound sizes. What’s curious is that while 2.5 pound sizes are common with horizontal loaf configurations, they are rarely seen in machines that bake a vertical loaf. Hamilton Beach makes the claim but be careful out there. I’ve cooked 2 pound loaves in vertical machines and found the rise to go over the top and meet the lid while baking the bread and it stuck to the lid and tore a hole in the top of the crust when I opened the machine. If you’re going to bake a 2.5 pound loaf in the Hamilton Beach make sure your yeast measurements are exact and see how you do. Quite frankly I’ve never seen a baked 2.5 pound vertical loaf, but if Hamilton Beach can pull it off I’d be curious to see what it looks like. Neither machine has an automatic fruit and nut hopper. Given the mixed reviews on that feature it’s probably not a big deal. Many owners of machines with fruit and nut hoppers complain that the fruits stick to the side of the hopper and never make it into the machine. A dusting with flour always helps, but there’s not advantage to either machine here. Both machines are about the same physical size but the Hamilton Beach 29882 is a lightweight at 12 pounds while the Zojirushi BB-CEC20 weighs in at 20 pounds. This makes the Hamilton Beach one of the lightest bread machines we’ve reviewed and there’s a problem some owners have reported. 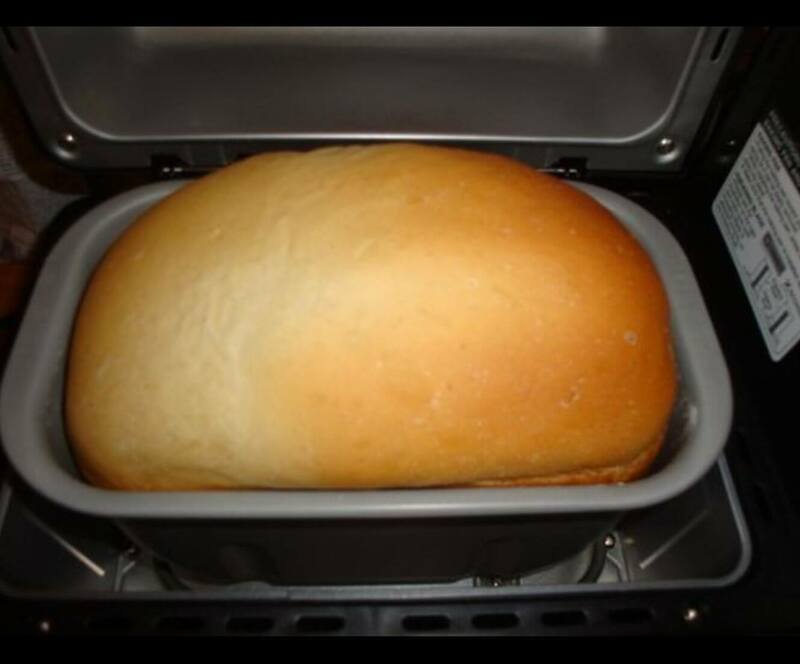 A lighter bread machine in terms or weight has a tendency to “walk” on a countertop especially during the kneading cycle. They also tend to be a bit noisier. This is a particular problem for high-volume loaves like the 2.5 pounder in the Hamilton Beach. The Zojirushi at 20 pounds is both steady and quieter. The telegram is to keep an eye on your Hamilton Beach especially during the kneading cycle. Both machines have a viewing window in the lid, but the Zojirushi BB-CEC20 has an option for an internal light that can allow you to illuminate what’s going on in the machine. I’ve used a small flashlight for many of the bread machines I’ve used in the past, but this is a pretty smart feature. Here’s where things get interesting. 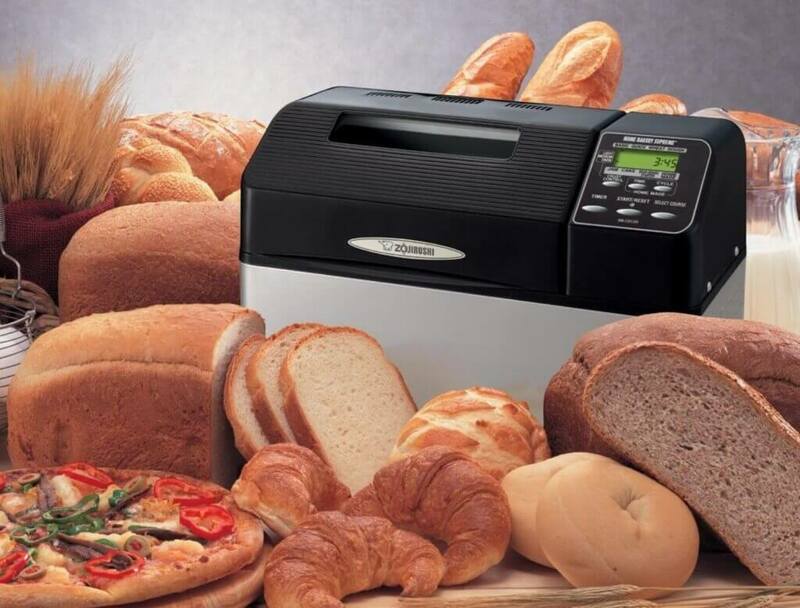 Most low priced bread machines offer 5 to 6 basic settings. The Hamilton Beach has 12. In fact, the Zojirushi only has 10 but it has an additional 3 settings you can customize for a total of 13. Regardless, 12 settings for a low-priced machine is unprecedented in the reviews we’ve done and yes Hamilton Beach has a gluten free setting. If there is one category of complaints we have seen across bread machines it’s the poor quality of instruction books and recipes. But something different is happening here. Both the Hamilton Beach 29882 and the Zojirushi BB-CEC20 get rave reviews from their owners for the quality and integrity of their instruction books and recipes. You would expect this from Zojirushi given their pricing, but it sound like Hamilton Beach knows how to compete across the category on this subject. You would expect great support from a high-priced machine like Zojirushi although some machines close in price don’t come close. Both also offer a 1-year limited warranty. What’s unusual is that the Hamilton Beach support and service scores are equally as high as Zojirushi. Let’s here it for the over-achievers at Hamilton Beach! The Zojirushi BB-CEC20 is an excellent bread machine. But for the money the Hamilton Beach 29882 is the hands-down winner. Few bread machines from this low-price range to mid-range can come close to matching the features. It’s lightness and possible wobble are limitations, but when all things are considered it’s a giant killer.